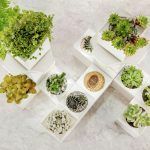 Spring has us thinking about greenery, with roots and shoots popping everywhere we turn–but most city dwellers don’t have a garden to grow. 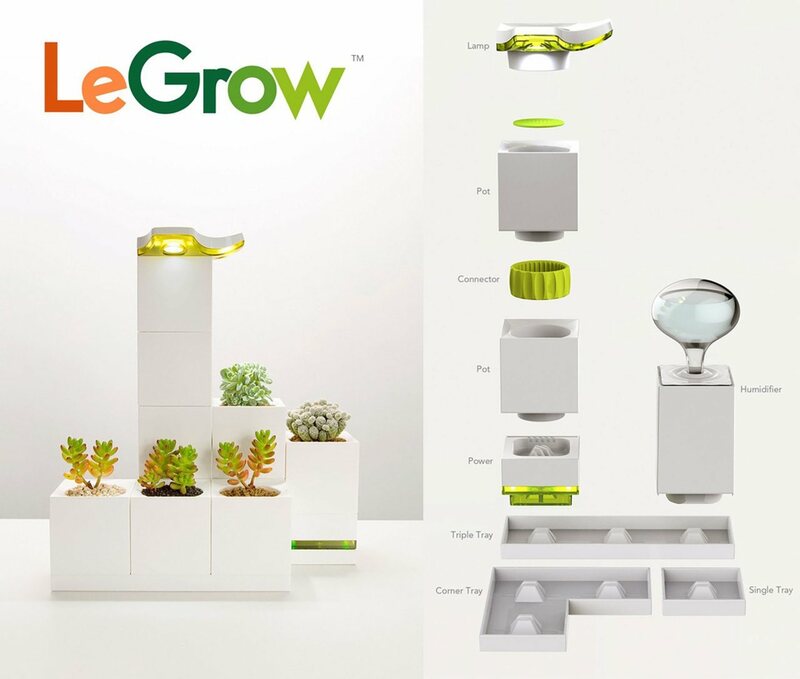 Enter the smart planter from LeGrow. 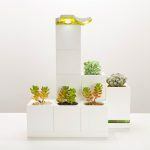 These snappy planters fit together like LEGO blocks for plants, making our design sensibilities happy by adding a cool modular element while allowing us to add living greenery to our indoor surroundings. 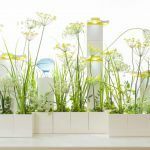 Though the design of LeGrow looks clean and minimal, the clever planting system integrates several elements. 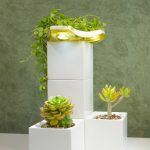 An internal water reservoir has been integrated into the design to capture excess water, eliminating drainage mess and allowing the plants to go longer between waterings–perfect for the office. 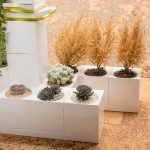 The pots’ modular shape allows for creativity: Make your own arrangements, fit them in to small spaces or stack and group them according to what’s growing in each one. 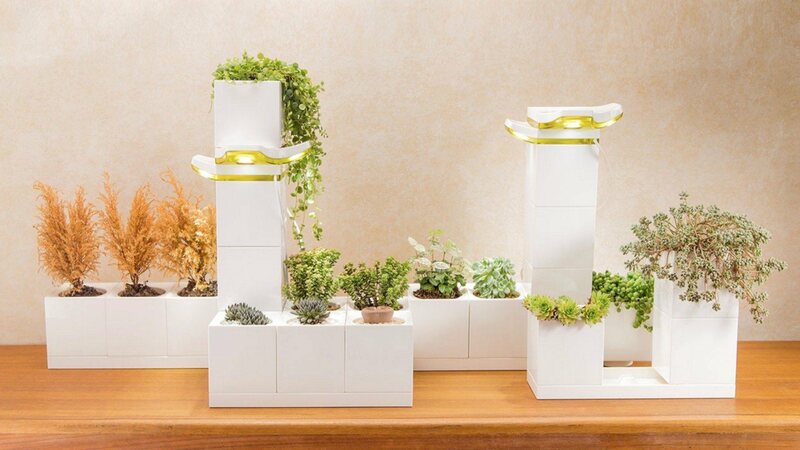 Not enough light? 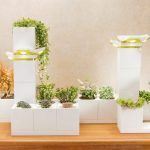 No problem: A two-bulb LED grow lamp provides enough light for a variety of plants and can be set for 6-hour increments, making even winter growing easy. 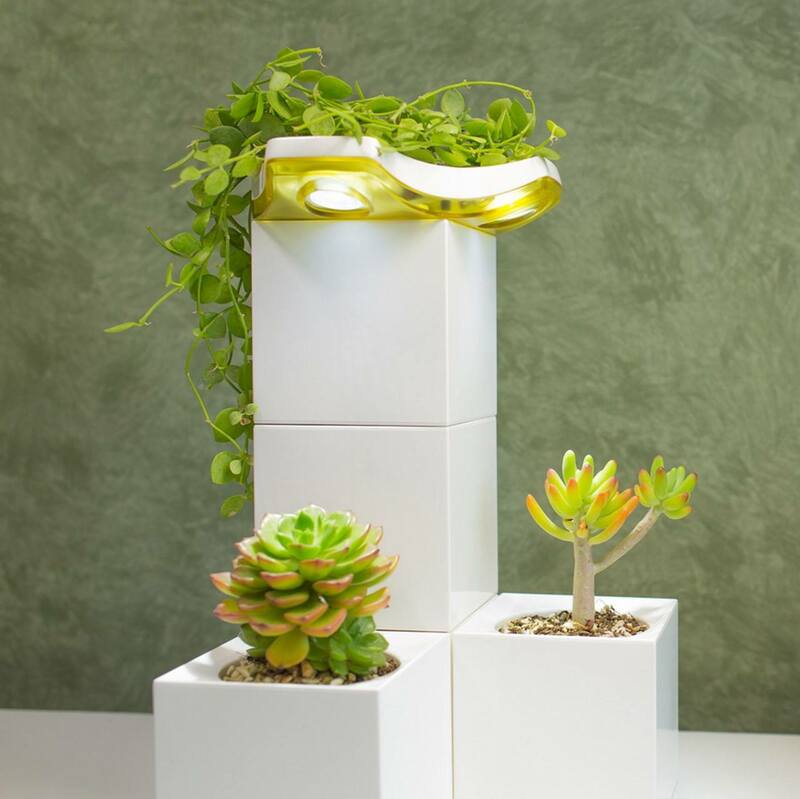 One problem with indoor environments (hello, office) is the lack of moisture in the air. 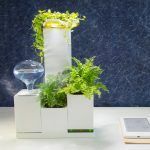 A 360 degree humidifier distributes enough water into the surrounding air for plants to flourish, with added benefits to their human friends. 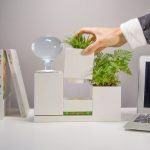 There’s even a Power Pot with four USB ports to recharge your devices, making it ideal for side tables and workspaces. 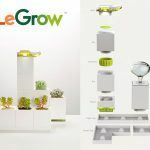 The LeGrow system was invented by Chinese industrial designer Haobin Lin as a way to introduce his daughter to gardening in their city apartment after watching her play with building blocks. 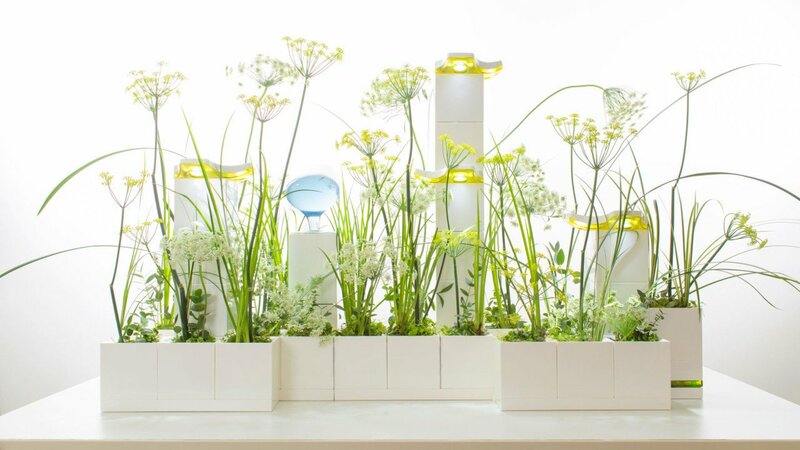 He then converted the concept into a cube-shaped modular planter system, looking to LEGO and Minecraft for inspiration. 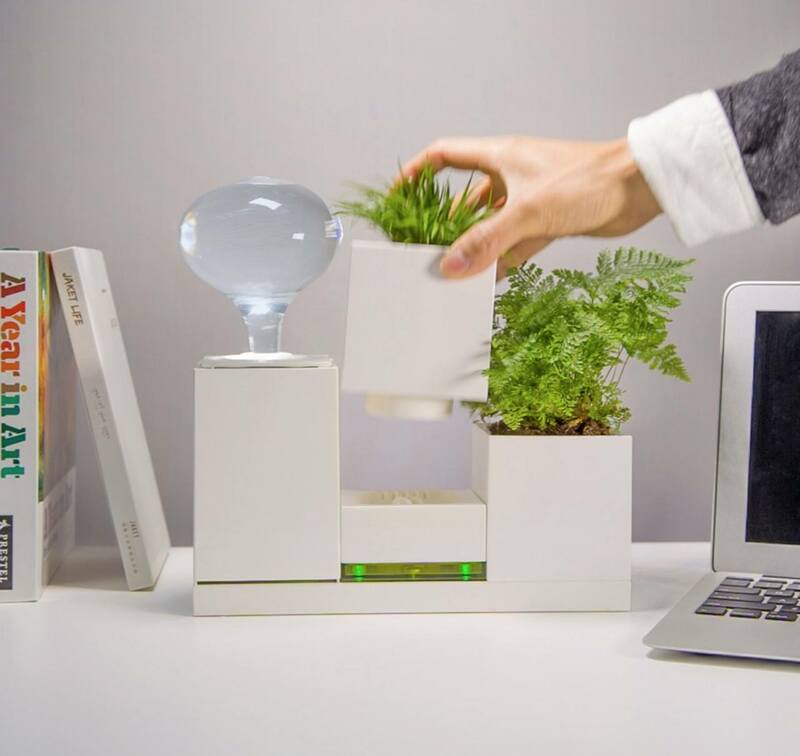 The LeGrow smart garden is seeking crowdfunding support on Kickstarter, with a price of $34 for early bird backers, who’ll receive a one Power Pot starter kit if the project is funded and going up in price depending upon the number and complexity of the infrastructure you choose for your little ecosystem. 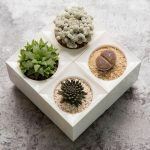 Find out more about this smart planting idea here.